Built for performance, an intuitive control system allows for precise mode selection across seven cooking functions. 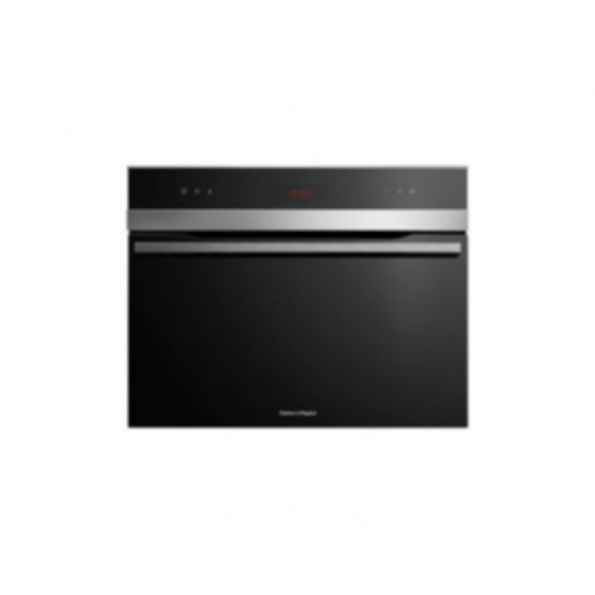 The generous 77 litre internal capacity fits 30 percent more than traditional European ovens. This oven comes with optional catalytic liners that break down oil and fat splashes during cooking. Finished in black reflective glass with polished metal trim, the sleek lines and design detail match the rest of the Fisher & Paykel kitchen appliance family.